Fashion has a pretty short attention span and the past 365 days were certainly no exception – the intersection of high fashion, streetwear and sneakers that defines the Highsnobiety universe birthed a whole ton of new trends and fads. The past year’s biggest shift in taste came as sport-meets-street looks made way for a grungier, more disheveled vibe – led, largely, by Kanye West. 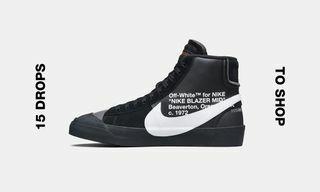 Elsewhere, we saw a continuation of the luxury sneaker phenomenon, as footwear labels imitated Common Projects’ high-end minimalism en masse (more on that later), while people explored new ways of customizing clothing and once-forgotten athletic labels staged comebacks in the hope of recapturing former glories. As we gear up for a new year and a new season, let’s look back on 2015’s biggest trends, and question which have staying power and which will be making us cringe come the end of 2016. 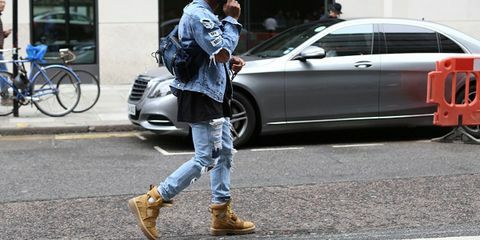 The sneaker fever gripping the world was bound to let up at some point – this year saw streetwear heads lured away from their Jordans and Tier Zero Nikes, channeling a bit of Parisian chic and flexing in plush Chelsea boots instead. 2015’s street style galleries were awash with sandy-hued suede boots (with a smattering of buckled Jodhpurs, too), usually worn with distressed denim, biker jackets and wide-brimmed hats for a touch of je ne sais quoi that would have Saint Laurent’s Hedi Slimane feeling very smug indeed. As with so many trends in men’s fashion, you can probably trace this one back to either A$AP Rocky or Kanye West; Lord Yeezus in particular has been stunting in some beaten-up Bottega Veneta boots for a minute now, most notably in his glorious 2014 GQ cover shoot. 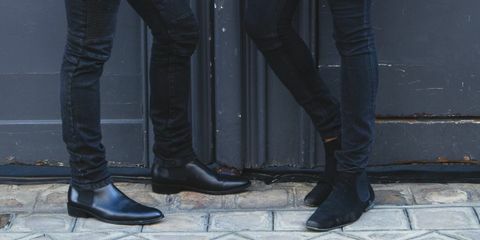 Although we’ll always encourage style-conscious dressers to try something a little more adventurous footwear-wise, the streetwear community’s embracing of the Chelsea boot could very well be this year’s answer to the 2011 boat shoe craze. Don’t count on the shoe to stick around when everyone’s returned to fiendishly collecting sneakers again. The sportswear/athleisure/whatever you want to call it craze has been going strong for a few years now, but 2015 saw fresh appearances from brands you’d be forgiven for thinking only existed in history books. Big logos, big cuts and big color-blocking was the order of the day here, as FILA’s SS16 collection, Umbro’s Pro Training line, Champion’s legendary sweats and Diadora’s high-end footwear all harked back to athleticwear’s glory years, no doubt fueled by the ’90s nostalgia that’s been so prevalent in recent seasons. 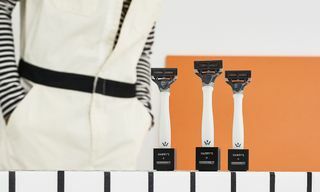 While we’re not sure how much longevity there is to brands who seem to be solely relying on their histories, it’s certainly been a pleasure to see some fondly-remembered classics reissued from the archives. 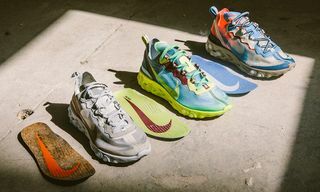 The ’90s revival is still going strong, and sportswear and streetwear are so closely related that we can see the retro-sporty look sticking around for a while yet. 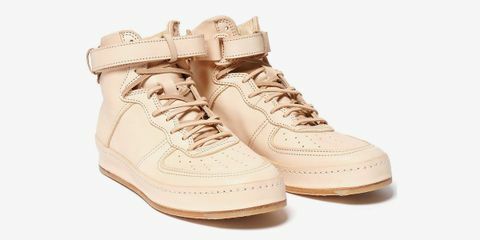 In 2013, a little-known leather goods brand from Tokyo unveiled a debut collection of footwear that paid tribute to sneaker icons of years gone by. Hender Scheme’s lovingly handcrafted homages to classics like the Air Presto, Air Jordan IV and Micropacer were rendered in natural, un-dyed leather, creating a product that – much like raw denim – develops its own unique patina over time. 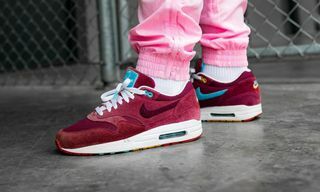 Ryo Kashiwazaki’s beautiful creations understandably caused mayhem on the blogosphere, astonishing sneakerheads with their artisan craftsmanship and gorgeous fabrications. Fast forward a few years and brands left, right and center are offering their own shoes crafted from Hender Scheme’s trademark natural leathers. 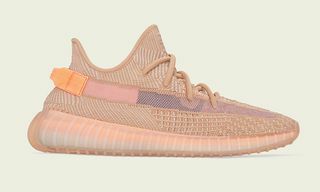 Big names like Jordan Brand, Nike, adidas Originals, and Vans all dropped veg-tan kicks this year, creating an oxymoronic situation where the Kashiwazaki is being ripped off by the very labels he paid tribute to in the first place. Given the specific nature – not to mention high price – of the natural leather look, we can’t imagine this one lasting for too long, so hopefully Hender Scheme can continue its work in peace. Check out our interview with Hender Scheme’s founder Ryo Kashiwazaki for the time being. 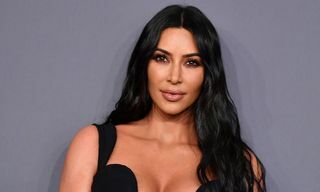 When Kanye West unveiled the first installment of his YEEZY clothing project in February, the fashion world unsurprisingly went nuts. 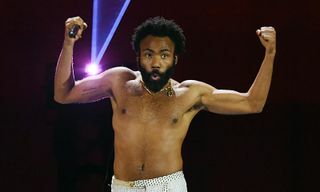 One of – if not the – most influential figures in men’s fashion, anything touched by West naturally triggers obscene levels of hype and copycat behavior in equal measure. 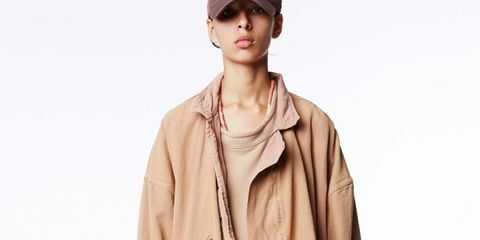 Central to Kanye’s first collection – and YEEZY Season 2 that followed it – was heavily distressed, garment-washed fabrics in muted, earthy shades of clay, beige and sand. While the collection’s aesthetic is in itself nothing new, Ye’s vast fashion clout unsurprisingly triggered a wave of mimics emulating (or just straight-up ripping off) the style icon’s newfound love for disheveled garments and muddy colors. 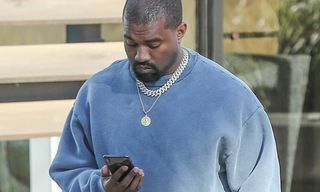 We imagine the aftereffect of Kanye’s new look will be felt for a long time, just as the street goth, all-black everything aesthetic he helped pioneer in 2011’s Watch The Throne era dragged on (and on, and on). Neutral hues are extremely wearable, and distressed, ripped garments have been a staple of rebellious style icons for decades, so it’s easy to see this wave going for a while yet. 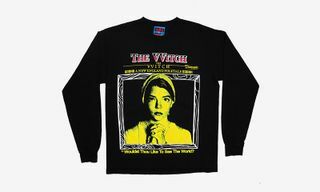 We may have finally (and thankfully) reached the end of the tedious all-black craze that made the fashion world feel like one big funeral, but that doesn’t mean we’ve seen the last of monochromatic colorways. All-red sneakers got really, really boring in 2014, and this year footwear manufacturers decided to move on to something a little more virginal, dropping crisp all-white sneakers by the bucketload. adidas’s Kanye-endorsed Ultra Boost “White” sold out wherever it appeared, while everything from Huaraches and GEL-Lyte IIIs to Sk8-His and Chucks got the colorless treatment – even Stan Smiths were stripped of their signature green heel counters. You can probably trace the all-white wave back to Common Projects, whose phenomenally successful high-end, minimalist sneakers have inspired labels across the board, and who has made tonal white colorways something of a calling card. 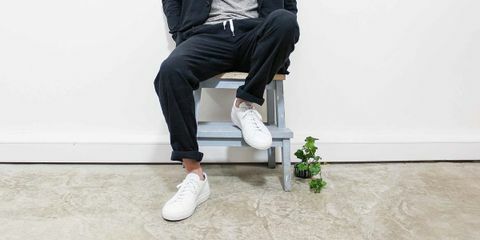 Given recent seasons’ move toward low-key aesthetics and a new generation of men discovering fresh ways of wearing sneakers – particularly in more formal settings – we imagine we’ll be seeing a lot more tonal white kicks in seasons to come. They aren’t exactly hard to pull off, are they? 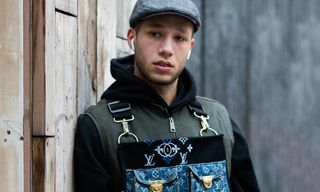 The latest manifestation of streetwear’s love affair with the ’90s saw brands and designers take inspiration from grunge’s disheveled, scruffy aesthetic and releasing distressed, torn and straight-up shredded jeans by the bucketload. Said denim pieces were often combined with flannels and trucker jackets for a particularly slovenly ensemble that could well have been lifted straight off Kurt Cobain’s back. 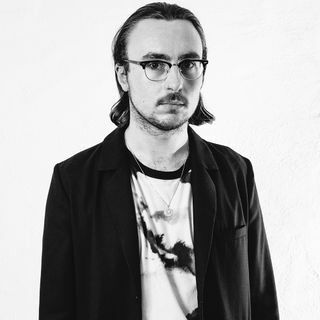 Trend-setting labels like Jerry Lorenzo’s Fear of God and Virgil Abloh’s OFF-WHITE gleefully ripped their jeans to shreds, embellishing them with side zips and gratuitous screen prints – and inspiring legions of copycats in the process. 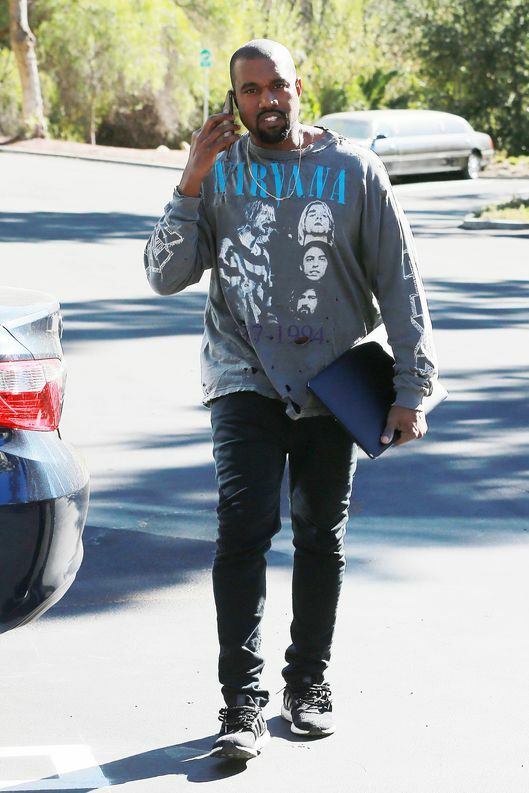 While grunge will live forever as an iconic era for style, seeing rap megastars donning Nirvana merch was unexpected to say the least. This could well be the Instagram generation’s answer to True Religion jeans, so don’t say we didn’t warn you. 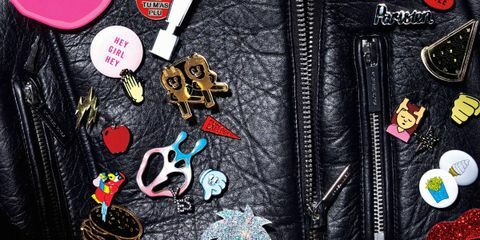 They may be one of the last things you’d notice about someone’s outfit, but that didn’t stop the lowly pin badge from having a huge moment this year. We saw tons of the things in 2015, which turned lapels, hats, bags and anything else into interactive canvases covered with everything from slogans and emojis to tiny depictions of rappers and sneakers. New York label Pintrill‘s witty, tongue-in-cheek nods to internet culture marked a particularly entertaining high part of this craze, while Good Worth Co.‘s dark, adult humor kept us amused, too. Naturally, luxury labels couldn’t resist throwing their outrageously expensive hats into the ring – who could resist a $100 Givenchy pin? Pins are an easy, cheap and fun way to add a bit of personality to your outfit, so it’s hardly surprising that people took to customizing their clothes en masse – we predict that you’ve not seen the last of them yet. Either that or people will start decorating their gear with iron-on patches instead. Shop a selection of pin badges over at What Drops Now. “I used to wear Gucci, I put it all in the bin ‘cos that’s not me,” spat Skepta on 2014’s grime banger “That’s Not Me.” As the UK’s grime resurgence went global – spearheaded by the aforementioned London MC – the genre’s rugged, streetwise dress codes went with it. Tracksuits and “shotta” waitpacks – essential parts of the grime uniform – popped up on streets the world over, while Drake and Travis Scott both discovered a peculiar new love for Stone Island and Nike celebrated the 20th anniversary of the scene’s beloved Air Max 95 with a slew of reissues and special releases. 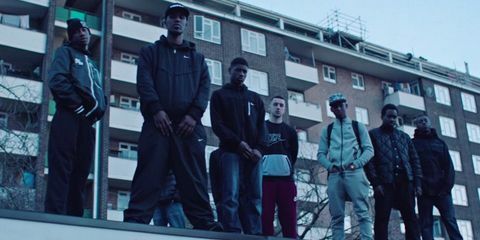 We’re not sure how long rap’s love affair with grime will last, but it’s safe to say that the genre’s uniform isn’t going anywhere – in the UK at least. 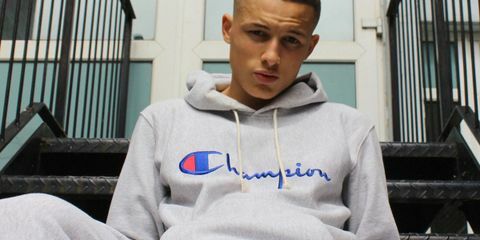 Tracksuits and Air Max sneakers are to the UK what basketball jerseys and Jordans are to the U.S. – they’ve been ingrained in the country’s cultural history for years. Likewise in Europe, where regional variations of the roadman look can be found on every street corner on the continent. 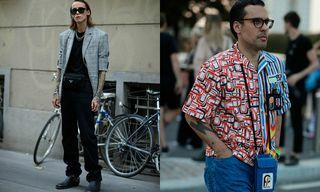 Perhaps this is the latest manifestation of Normcore: the wave for embracing all things ordinary is moving on from American staples and instead finding inspiration in clothing that’s been standard issue on European and British streets for decades. 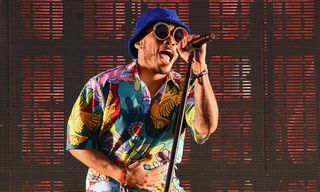 Dad hats, curved brims, polo caps, whatever you want to call them – the humble baseball cap made a huge comeback this year, appearing on the heads of rappers and influencers alike, banishing the snapback and 5-panel to streetwear’s dustbin in the process. Much like pin badges, many used the dad cap was as a vehicle for tongue-in-cheek mannerisms, as labels dropped hats adorned with irreverent slogans, emojis and, err, illustrations of Gucci pool slides. Normcore may have been declared dead this year, but the humble baseball cap proved that the wave for embracing everyday items of clothing isn’t over yet. Given the timelessness of the baseball cap – particularly if it’s got a Polo or Yankees logo on it – we can see a bit of longevity to this one. With the all-black-everything craze finally dead and gone, we were bound to see color returning the streetwear palette once again. Last year’s collections timidly stepped into greys, washed denims and white, but 2015 received a fresh injection of soft, neutral hues – most strikingly with bright flourishes of pink. We’ve seen a whole lot of pink caps this year, while Gosha Rubchinskiy dropped a fuchsia-infused SS15 collection, Raf Simons’ cult Stan Smith sneakers appeared in soft blush and Supreme showed a particularly powerful pink-camo combo in its FW15 lookbook. Instagram maven Ian Connor even dropped an appropriately named Pink Dolphin collaboration, while Wiz Khalifa took a few style tips from Cam’Ron and stepped out in some striking all-pink getups. Neutral tones like olive, khaki and beige have all been huge this year, and we imagine pink will be around for a while, too. It’s an easy color to make a statement with, and softer blush pinks are easy to combine with other colors and patterns as well. Still not convinced? Here’s why you should try showing your softer side this season. 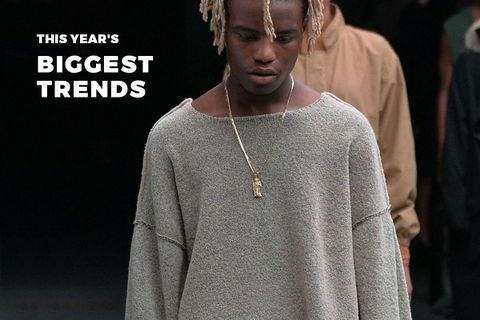 For more end of year content, take a look at The 10 Biggest Streetwear Moments of the Past Decade and vote for your favorite brands and collaborations in our annual Highsnobiety Crowns awards.